Dr. Frank Kameny arrived in Washington, DC on September 5, 1956. "I am a homosexual American citizen determined to move into the mainstream of society from the backwaters to which I have been relegated. Homosexuals have been shoved around for time immemorial. We are fed up with it. We are starting to shove back and we're going to keep shoving back until we are guaranteed our rights." From these affirmations sprang new strategies and tactics which led in time to the reversal of the American Psychiatric Association’s classification of homosexuality as a mental disorder, the elimination of homosexuality as a bar to federal employment, decriminalization of homosexuality and homosexual practices, an end to Washington, DC police harassment and entrapment of homosexuals, outreach to clergy and faith communities, and the creation of regional and national organizations for gay rights. His formation of the Mattachine Society of Washington (MSW) in November 1961 provided a unique platform for building public awareness of homosexual civil rights and pressing the gay rights movement’s demands. Not incidentally, it also spurred local demands for civil rights and inclusion in the political process. In 1965, Kameny and MSW began a series of pickets in Washington and other cities that revolutionized the tactics of gay activism. Kameny’s 1971 campaign for Congress further publicized homosexual civil rights while also demonstrating the burgeoning political significance of homosexual voters. 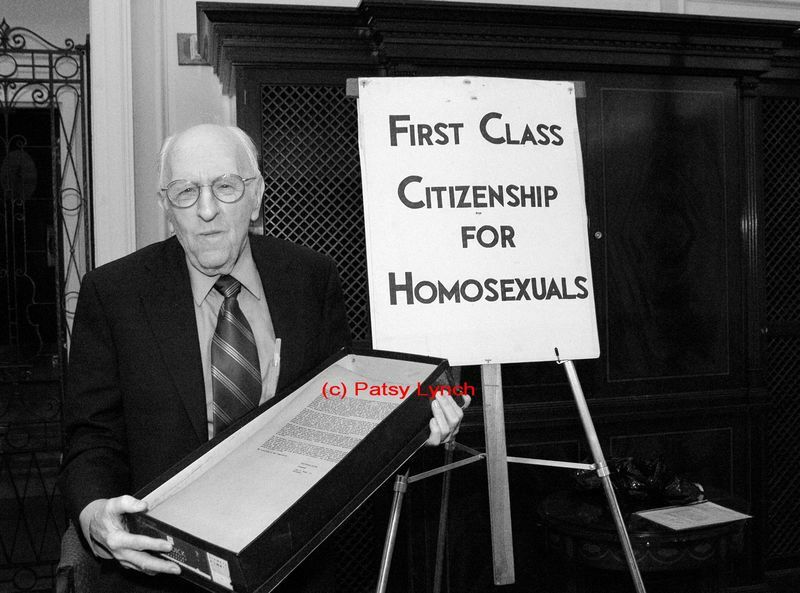 In his public service on the Human Rights Commission and other roles and in his determinedly public presence, Kameny serves as a model of the homosexual citizen’s natural involvement and contribution to the greater good of society.